Exit Southern Boulevard heading west. Turn left on Forest Hill Boulevard. 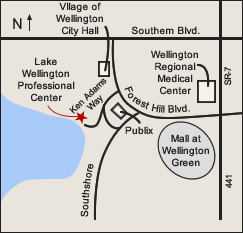 Make a right on Ken Adams Way and follow around to Lake Wellington Professional Centre.